James Mongiat became so accustomed to his wife Whitney’s childish fits that he decided to video one of them in order to show people just how out of control and immature she really is. He posted the video on YouTube and it went viral. It also sent Whitney to an attorney, and set the “guys are always wrong” media machine into full overdrive. James has been lambasted by white knights and other elements in the media about as mature as Whitney since the video made such a splash. As we all know that is not an unusual turn of events for men dealing with abusive women. We welcome you to join Paul Elam and Dr. Tara Palmatier for a special episode of Man, Woman, Truth Radio, where we will interview James Mongiat, to get what the mainstream won’t ever give him, a fair chance to tell his side of the story in full. Needless to say, there is a whole lot more to this story than what you saw on the video. According to James, the behavior captured in the lake tantrum video is benign compared to the the other abuses and domestic violence he has suffered while married to Whitney, which will be all to familiar to Shrink4Men readers. 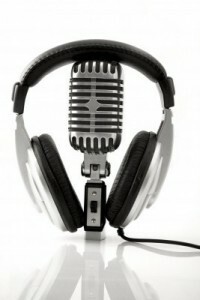 The show airs tonight (Thursday, August 1st) on blogtalkradio at 6pm PST/7pm MST/8pm CST/9pm EDT. We will be taking calls. The call in number is 310-388-9709. I am looking forwrds to this show. I am looking forwards to this show. If this is the “Take me to the LAAAAAKE!” video, I saw it. Wow. Unfortunately, the video Dave32165 posted shows up as private when I clicked through. Sorry. I’m new to the site. I saw the video when it came out, and was catching up with the show. Please disregard this and my previous post, except that the youtube video is private. I got myself two cheap small body cameras (under £15 including the memory card) on the basis of this video. I think it’s great that we are actually starting to gather “evidence” regarding this type of abuse against men that has been out there all along. Growing up, and for years, the public perception has been “poor woman, bad man”. A women strikes (or yells) at a man…he probably deserves it, right? A man strikes (or yells) at a woman…and look out! I believe that all people should be treated equal. So women, welcome to the world of equality. Thanks so much to Dr. T for the outstanding work…and to James Mongiat for having the courage to stand up to his (obviously) abusive wife.